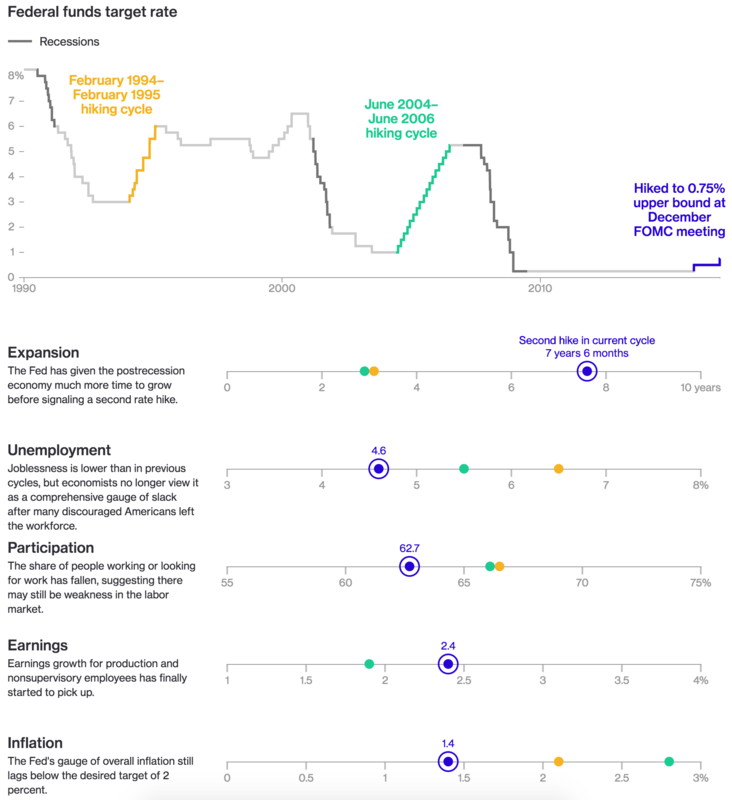 In my new role as data visualisation manager at the Philadelphia Federal Reserve, I am learning a lot about what the Fed does and how it does it. Needless to say, this piece from Bloomberg interested me as it displayed how the federal funds rate has changed over time. What I really enjoy is how they colour-coded the two previous hiking cycles as well as what I think everyone presumes will be a new one. And those colours then move on down the piece into the dot plots. The dot plots show various potential factors in the decision-making process, and just how far off the current hiking cycle is from the two previous. Credit for the piece goes to Chloe Whiteaker, Jeremy Scott Diamond, and Jeanna Smialek.